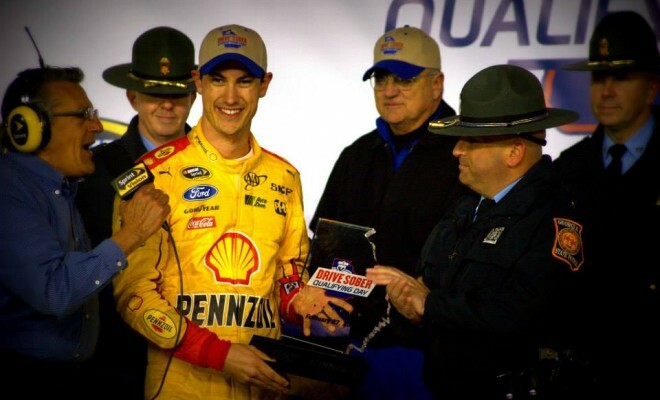 Daytona 500 winner Joey Logano continued the momentum of his triumph in The Great American Race by winning the pole for the Folds of Honor QuikTrip 500 at Atlanta Motor Speedway on Friday evening during a bizarre qualifying session that relegated many big name drivers to the rear of the starting lineup. Recording a speed of 194.683 miles-per-hour in his No. 22 Team Penske Ford, the Connecticut native easily topped then-provisional polesitter Kevin Harvick by over .1 seconds to score the ninth pole of his Sprint Cup Series career. Setting the fastest time in the second of three qualifying sessions that took place, Harvick will start second on Sunday afternoon. The dominant driver the last time the Sprint Cup Series circuit visited the track, early indications show that the Stewart-Haas Racing driver will more than likely be a threat during the 367-lap race. Jamie McMurray, Denny Hamlin and Carl Edwards round out the top five of the starting lineup. The big story during Friday evening’s qualifying session, however, was the strange set of circumstances that prevented big name drivers such as Jimmie Johnson, Jeff Gordon, Matt Kenseth and Tony Stewart — along with nine other drivers — from recording a lap during the first 15-minute session. 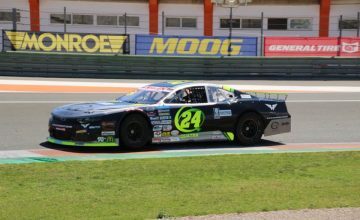 With a total of 13 cars failing pre-qualifying technical inspection and having to go through the process an additional one or more times, the drivers were not able to make it to the track before time ran out on session one. Due to the strange set of circumstances that unfolded, those big names will start near the rear of the field for Sunday’s race– and that is if they were lucky. 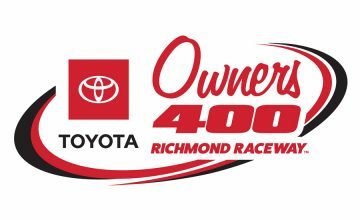 After a slight technical glitch, it was announced that Mike Wallace, Matt DiBenedetto, Michael Annett and Reed Sorenson failed to make the race and will return to North Carolina two days earlier than expected. Friday evening’s qualifying fiasco comes almost two weeks after the crash-filled Daytona 500 time trial session that left Clint Bowyer and several other drivers frustrated with the sanctioning body’s new qualifying procedures.